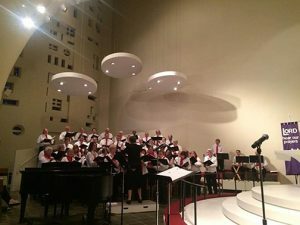 Led by Laurel Sanders, director of music ministries, the event incorporated the mainline denominations in a program centered on forms of music that contributed to or influenced the collective liturgies. The concert part of the program featured amateur performers backed by professional musicians in areas where needed. 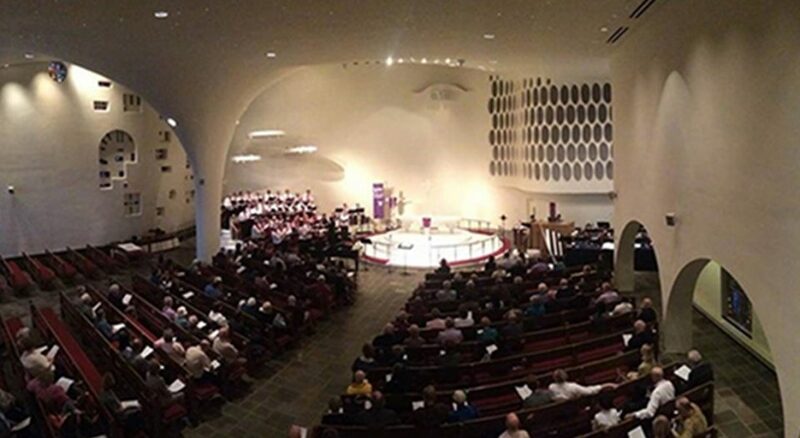 Several Lutheran brass chorales, two Lutheran cantatas and a hymnody were the major musical presentations. The educational part of the program hosted guest speakers from the Penn State University School of Music and United Lutheran Seminary to share the thinking and theology inherent in the various forms and types of music. These sessions underscored how each denomination contributed to the music from which all have benefitted. Post-event evaluations expressed an appreciation for the varied denominational contributions to collective worship. For many, it was an opportunity to establish new friendships within and beyond their own denominations. “This was a model for what a Reformation celebration should be – ecumenical, informative and enjoyable,” said Dr. Mark Oldenburg, dean of the chapel and Steck-Miller Professor of the Art of Worship at United Lutheran Seminary. The relationship building benefits blossomed within six months for the recreation of Luther’s Divine Service, in partnership with leadership from a Penn State faculty member and the Penn State Glee Club. With their grant programs closed, Grace Lutheran and their new friends look to the next 500 years of Reformation for a greater sense of community.